Up to 4 times more clicks to your website. Deliver to each reader the content he should not have missed. Directly in his email inbox. Generate traffic easily thanks to your contact base. Data collection, template design, routing… Let Ownpage take care of everything. Once the design is done, no more human intervention is required. Put the emphasise on video content or on one section, highlight your premium content or edit manually some blocks. You have full control. 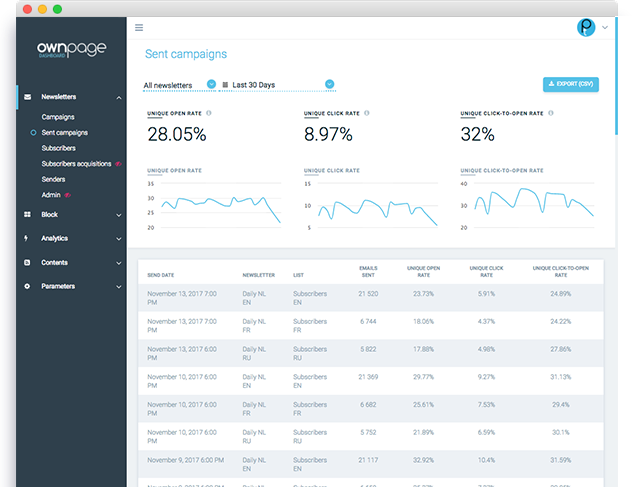 Monitor your campaign’s performance. Manage your settings. 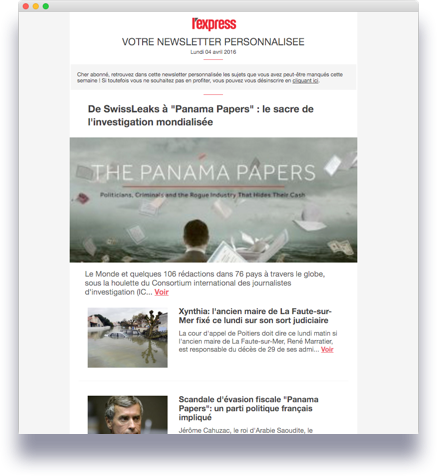 In order to engage paying subscribers, L’Express wanted to offer them additional features. 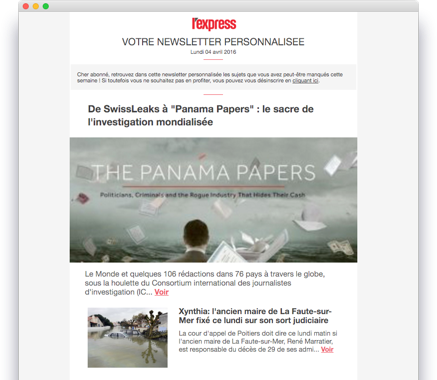 L’Express and Ownpage designed a weekly Personalized newsletter, exclusively for paying subscribers, so that they can fully enjoy their subscription. A click through rate 4 times higher than the publisher average. Engagement remained very high, as the over 50% open rate suggests. 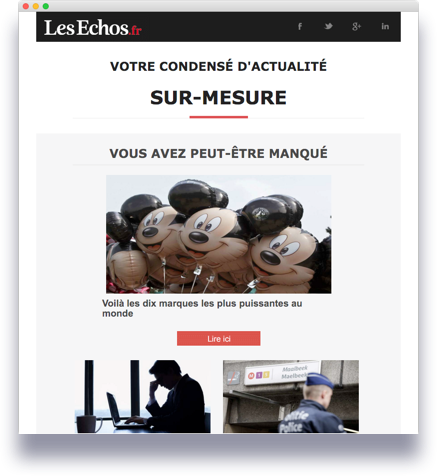 To drive traffic from email, Les Echos was willing to launch an innovative and efficient newsletter solution. 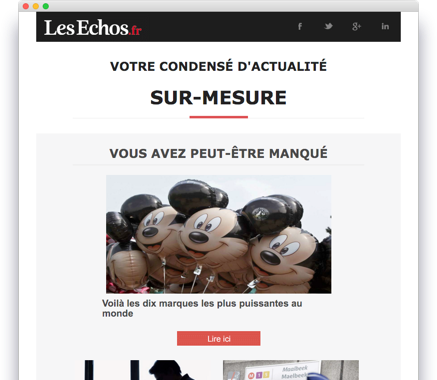 Les Echos and Ownpage designed a bi-weekly Personalized newsletter, sent to all registered readers. A click through rate 2 times higher than the publisher average. The Personalized newsletter increase automatically the number of opened newsletters by 600 000 and drives 180 000 visits each month.